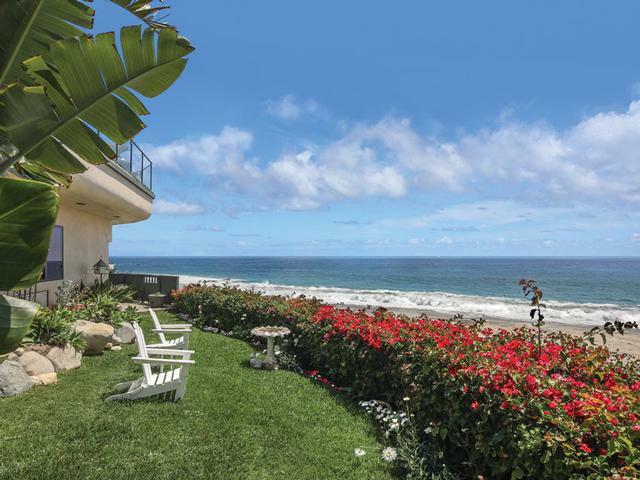 Premier oceanfront masterpiece on Victoria Beach in the exclusive gated, private community of Lagunita! Enjoy the waves rolling on the sand and Catalina Island sunsets from this spectacular 4 bedroom, 5 bath home plus guest quarters and office. Living levels connect directly to beach via home’s private stairway, this provides easy access “toes in the sand” onto one of Southern California’s most renowned beach stretches. The architecture combines a relaxing beach environment with a soft contemporary elegance and elevator access to all floors. 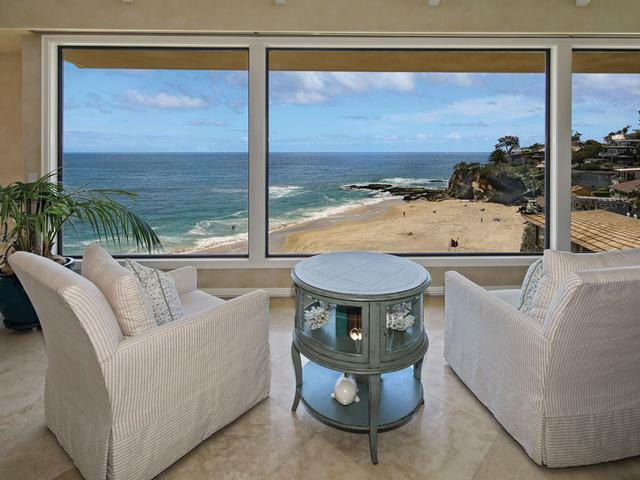 Walls of glass bring panoramic Pacific Ocean vistas views into every room as if the home was ready to set sail. Travertine-accented interior flooring is complimented by spacious patios perched over lawn, gardens and sandy beach. The spacious main living level boasts stunning views, wide glass openings with a chef’s gourmet kitchen featuring Viking 6-burner cooktop, 3 Thermador ovens, Sub-Zero refrigerator with state-of-the-art appliances.